This magazine is for standard long action bolt rifles chambered in 300 Win Mag. Many other long action calibers will work with this magazine. 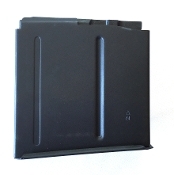 This magazine fits all McRee long action rifle stocks requiring a std long action magazine and aftermarket bottom metals set up for the NATO/AI style magazines. Fitment with out any modification: 7MM mag and others based off of the 300 win mag. Requires feed lips to be adjusted: 30-06, 270, 308win and many others.